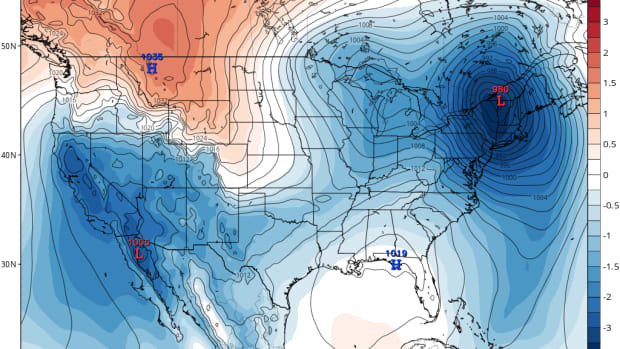 As weather patterns are likely to change with the climate, a national NOAA project centers on gathering meteorological data both before and during significant storms to create precision forecasts that researchers hope will allow us up to a week's notice. Whether contemplating several feet of snow on a ski resort roof or watching a drenching storm pelt a windowpane, you know all that water has to go somewhere. How ironic that, during the week when the scarcity of water in many places around the globe was highlighted with the celebration of World Water Day (March 22), untamed water wreaked havoc on some 250 communities in a dozen states in this country. There goes that pesky weather again. But, as Mark Twain opined, nobody does anything about it. The National Oceanic and Atmospheric Administration, however, is doing its part in terms of predictions and warnings and in trying to get a handle on weather patterns likely to grow increasingly volatile as Earth’s climate changes. The NOAA released an alert last week warning that the flooding in mid-March could be just the beginning of a spring season where above-average flood conditions are the norm for a good part of the country. Earlier in the year, many meterologists’ eyes were focused on California’s capital, Sacramento, an urban area with all the potential for a perfect storm — snowmelt from the Sierra Nevada, two large rivers, the huge Folsom Reservoir and a system of levies protecting the city from high runoff. 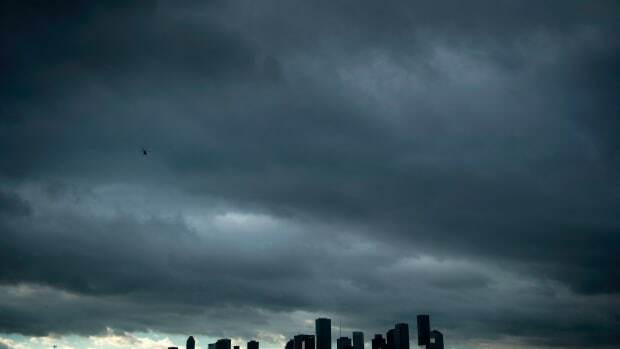 Heavy rains at the right time could have produced “the next New Orleans,” according to Tim Schneider, project manager for the Hydrometeorology Testbed, or HMT, a national project of the NOAA’s Earth System Research Laboratory. Fortunately, most of the moisture during the usual wet period (November through mid-March) came in the form of snow, so Sacramento is probably safe this year. While studying a possible dire scenario in Sacramento, HMT researchers used years of West Coast storm research, developed innovative ways of gathering data offshore and explored a newly discovered phenomenon: atmospheric rivers, the huge ribbons of moisture that gather in the tropics (sometimes referred to as the Pineapple Express when they hit California with torrential rains) and that account for most of the moisture Earth’s land mass receives. Atmospheric rivers were first identified in a 1998 paper by Yong Zhu and Reginald E. Newell. In 2005, F. Martin Ralph, Paul J. Neiman and Richard Rotunno authored a study that delved further into the phenomenon. Prior to these papers’ publication in the journal Monthly Weather Review, Schneider says, meteorologists knew that the moisture hitting land came from storms in the Pacific, but they did not understand the role atmospheric rivers played in delivering huge amounts of precipitation. There is rain that will ruin your picnic, he explains, and there are storms that will wreak havoc. The difference is the delivery system. When the precipitation comes from an atmospheric river, the storm will likely be of the latter type. Plus, while atmospheric rivers cover only about 10 percent of the globe, they deliver 90 percent of the world’s precipitation. HMT’s unmanned aircraft fly into atmospheric rivers and send back data on temperature, moisture and wind that can be used to develop models of potential storm patterns, degree, etc. Several other methods of monitoring are also in use, including weather balloons, sensors along river basins and wind profilers. The idea, according to Schneider, is to gather meteorological data before storms build and while they are building to create precision weather forecasts to allow managers up to a week’s warning about a significant storm. Forecasters in the Sacramento area were able to use HMT’s data on snowpack daily to make their predictions this spring, and the lab gave four days’ notice of a major storm to hit burned areas north of Los Angeles last year, Schneider says. He notes that the weather has been relatively uneventful in the last few months, but he expects the data HMT is gathering will become increasingly useful for forecasters. Previously, according to Schneider, scientists would go out for six weeks, gather as many data as they could and return to their offices to complete a study. That model of activity, though fine for science, didn’t do much for people on the ground trying to forecast or make decisions based on likely weather scenarios. One example Schneider used was Folsom Reservoir, 25 miles east of Sacramento. He noted the many uses for the reservoir’s water and talked about a possible storm developing in the Pacific. Should the operator at the dam let some of the water go to reduce possible flooding? If the operator does and the storm does not materialize, the area loses that water. If the operator holds the gates and it storms, there likely will be flooding. “Water is a commodity and a precious resource,” Schneider said. “The desire is to store as much water as possible. The question is: Can we get our forecast good enough so they can release water to avoid a flood? “The wild card is climate change,” he said, noting Folsom Dam was built in the 1950s using stream flow records from up to 50 years prior. Recently, more extreme events have occurred than expected based on the old records. The HMT project has a national mission. In 2010, it will move to a location on the Eastern Seaboard, leaving intact all the monitoring equipment and procedures that were developed and successful in Sacramento. 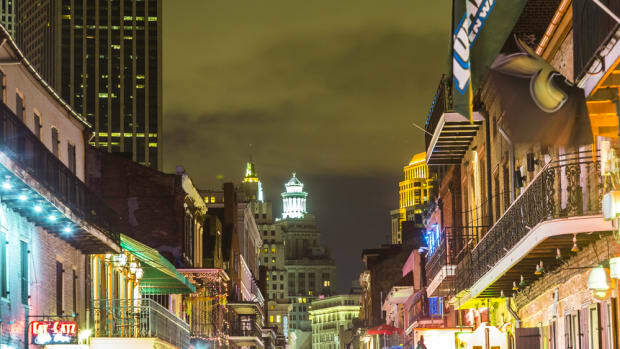 Hopefully, if the perfect storm begins to threaten the city and surrounding area, the work of HMT researchers will allow for an early warning system not enjoyed by those living in New Orleans during the summer of 2005. In the meantime, the NOAA expects a rough spring in the continental United States. High snowpack, moisture-laden soil and heavy spring rains should put Americans on high alert, says Vickie Nadolski, deputy director of the NOAA’s National Weather Service. A map recently released by the NOAA shows above-normal flood potential for much of the Mississippi, Ohio and lower Missouri river basins; Pennsylvania; New Jersey; most of New York; and all of New England. In the West, high snowpack, combined with heavy spring rain, could cause flooding across northern Idaho, parts of western Montana and much of Colorado. Soils in many of those states have high moisture readings, says Joanna Dionne, a meteorologist with the NWS. She notes New Hampshire and Vermont have had record snowpack this year and Colorado and Idaho have had 150 to 200 percent of normal. A lot of it will come down to how fast temperatures warm and how heavy the spring rains are. There’s a 20 to 30 percent chance of major flooding on some rivers in southern Wisconsin and northern Illinois and flood potential through the Connecticut River Valley. Dionne compiles the government listings of people who die in floods and is concerned that people aren’t aware of the dangers. She says half of the people who die in flood-related events are in their cars, and 70 percent of those are caught in a flash flood in an underpass, near a creek or at a low-water crossing. Her advice to those experiencing flood conditions? “Be aware of the conditions; listen to your local officials; pay attention to your radio alerts.” The NOAA’s Weather Radio All Hazards, a nationwide network of radio stations, broadcasts continuous information direct from NWS offices, and the NWS Web site provides forecasts and warnings. The National Weather Service says the storm could be among the strongest ever recorded during the month of October in New England. Accurate weather forecasts can provide strong economic benefits to Americans and save lives—but only if weather data remains accessible.